I'm loving this new octopus. She's large and beautiful. This one is painted silver and given a slight verdigris patina. This is a heavy piece so I would hang it securely on a stud in your wall. Hangs from a nail or screw. See photo showing the hardware on the back for hanging. 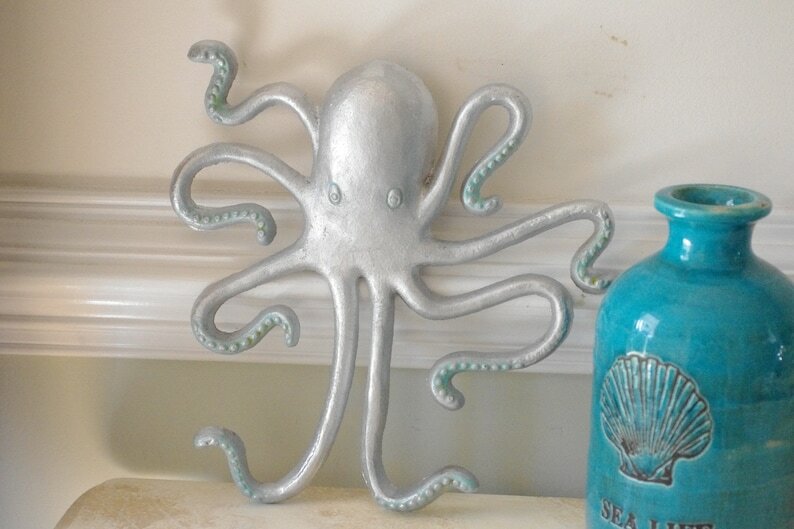 What a beautiful addition to your coastal home or beach house. Pick from our 20-colors in last photo. Please specify color at checkout or convo. ♥ weight = 4 lbs. 3 oz.